Pierre-François-Pascal Guerlain opened his first shop street of Rivoli in Paris, he created different perfumes for each customer… Can you imagine?? Guerlain loves to use the most sumptuous essences, like French vanilla and ylang-ylang from its own plantations in the Comores Islands. 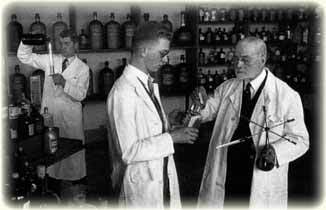 Guerlain was also one of the first to successfully blend synthetic ingredients and natural essences. 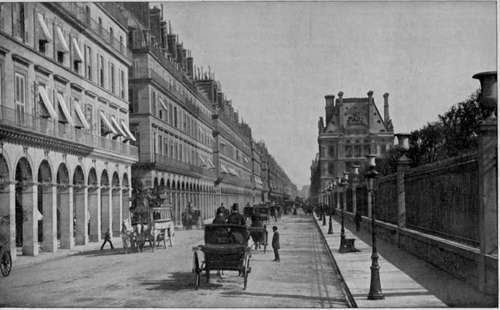 With the death of Pierre-Françoise in 1864, the house was left to Aimé Guerlain and Gabriel Guerlain. The roles of perfumer and manager to Guerlain was divided between the two brothers, with Gabriel managing nad and further expanding the house and Aimé becoming of the grand perfumer. 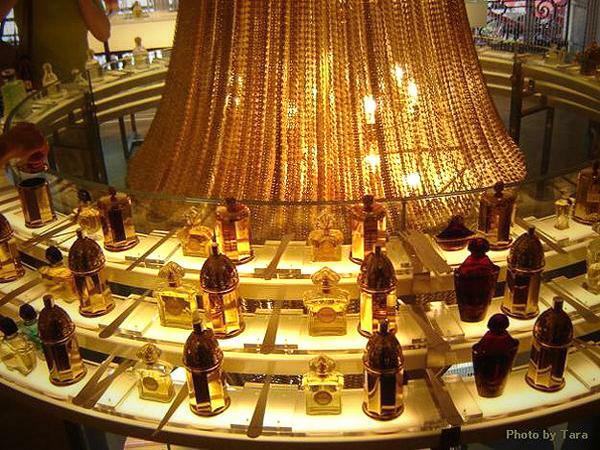 As such, the House of Guerlain began a long tradition where the position as the “nose” and grand perfumer was handed down through the Guerlain family. The business was handed down to the sons of Gabrielle Guerlain, Jacques Guerlain and Pierre Guerlain, with Jacque becoming Guerlian’s third master perfumer. 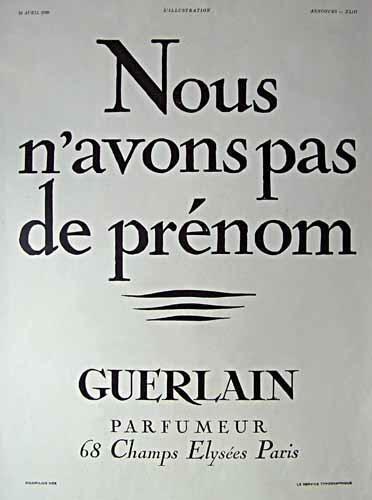 Jacques composed many of Guerlian’s classic perfumes, many of which as still held in high esteem in the modern perfume industry. As another sign of their popularity, most of his perfumes are still sold and marketed. Indeed, it is the only place where all of the Guerlain extraits de parfum can be sampled, including ethereally beautiful Chant d’Arômes. Reissued recently in the extrait de parfum, it is a gorgeous, floral chypre, resembling the original Chant d’Arômes formula more than the version that was available previously. The first time I visit the boutique I do not linger near the table for long, because the temptation to cover my wrists with Nahéma and Mitsouko would have prevented me to explore the rest of the fragrances. Thus, I begin with the limited editions of Le Mouchoir de Monsieur and La Voilette de Madame originally created in 1904 and presented in Baccarat “escargot” bottles. Le Mouchoir de Monsieur, once produced exclusively for French actor Jean-Claude Brialy, is a warm, elegant fougère, while La Voilette de Madame is an iris, ylang ylang, narcissus and violet composition, foiled in warm powdery sweetness of incense and sandalwood. While it starts out light and delicate, the subsequent developments result in a narcotic, opulent floral.